In light of the recent government formation in Lebanon and amidst economically hardened circumstances, the banking sector has proven time and time again that it can sail steadily in the stormiest of weathers. 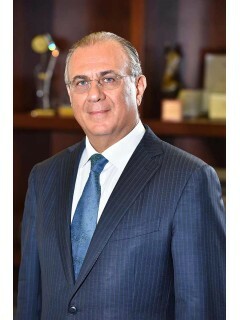 BBAC’s Chairman Mr. Ghassan Assaf, in the opinion piece, expressed confidence in the latter all the while specifying specific key indicators that have spelled positively concerning the financial situation in the country. 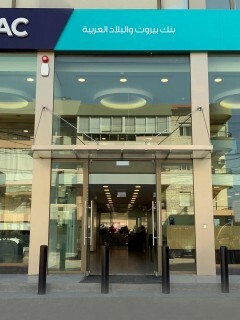 The branch opening comes in line with the bank’s expansion strategy to grow its geographic footprint in strategic areas in Lebanon, especially in the North Area, and serve its clients wherever they are, as well as attract new clients with its quality products and services. In addition to being situated in a strategic location, the new Kousba branch enjoys a modern design reflecting the new corporate identity recently launched by BBAC. Moreover, the branch has been equipped with the latest tools and technologies, in order to offer customers an optimal banking experience. With the opening of the Kousba branch, BBAC will now be at its 41st local branch all over Lebanon, in addition to 4 international branches in Cyprus and Iraq, and a representative office in each of the UAE and Nigeria. In support of education and youth, BBAC, headed by its Chairman Sheikh Ghassan Assaf and Saint Joseph University led by Professor Salim Daccache s.j, signed a Memorandum of Understanding (MOU) to establish a joint fund in the name of late Sheikh Toufic Assaf, founder of BBAC in 1956. The fund aims at granting scholarships to deserving students in need of assistance to pursue their higher education. In the scope of the MOU, the contribution of both parties has been determined at an equal amount, to be paid in two installments over 2019 and 2020. This initiative comes as a tribute to the memory of Sheikh Toufic Assaf, a supporter of youth and their ambitions, who had a significant impact on the Lebanese society through his role in the industrial and banking sectors as well as in politics. BBAC supported, as main sponsor, the tribute to Charles Aznavour, the legendary French-Armenian singer. 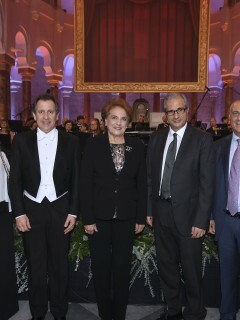 Entitled “Pour Toi Aznavour”, the tribute concert, directed and executed by Maestro Harout Fazlian, was held under the patronage of H.E. 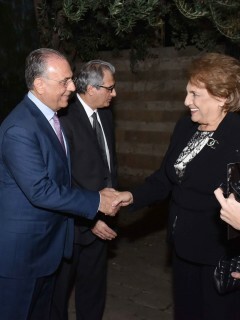 General Michel Aoun, President of the Lebanese Republic, in the presence of the First Lady of Lebanon Mrs. Nadia Aoun, Chairman of BBAC Mr. Ghassan Assaf and his spouse, key political, religious and public figures, in addition to a crowd of guests. 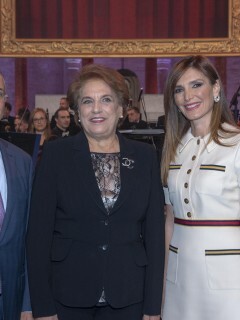 This musical and cultural concert, which was organized by the Lebanese National Higher Conservatory of Music and the Hamazkayin Armenian Educational and Cultural Society, took place at the Saint Joseph Church in Ashrafieh and witnessed huge success with the performance of the incredibly talented Lebanese Philharmonic Orchestra led by Maestro Fazlian. 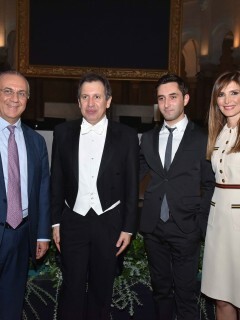 On the occasion, Mr. Assaf paid homage in his speech to the multi-talented artist and great person Charles Aznavour while drawing a parallel between his lifelong strive for success to become a global legend, and the success of the Lebanese Armenian community that has enriched Lebanon with its skills and talents, significantly contributing to the Lebanese economy to become a main foundation in the country. The tribute concert spanned two nights and saw hundreds of admirers of the late artist gather from all corners of Lebanon to bid him a last farewell. BBAC won, for the second consecutive year, the BDL Banks Mini Football Championship organized by Sports Mania. 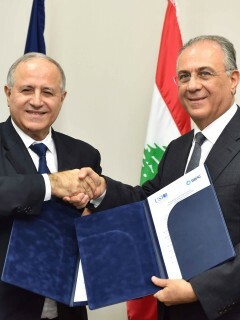 Held under the patronage of Mr. Riad Salameh, Governor of Lebanon's Central Bank, this year’s championship saw the participation of teams from 12 banks. 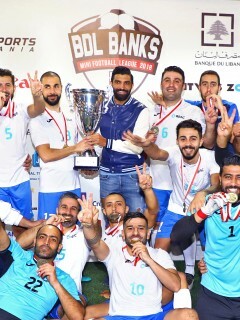 The crowds cheered as BBAC team won over Audi Bank team (2-0) in the final match, which took place at Sports Avenue in Hazmieh. 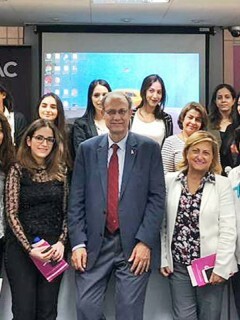 On the occasion of the International Breast Cancer Awareness month, BBAC, in collaboration with the Lebanese Breast Cancer Foundation, held a seminar for its female employees to raise awareness about breast cancer. The seminar was given by Dr. Naji El Saghir where he presented to the attendees the latest facts, along with some informative tips for Breast Cancer home test, in addition to other important details. Dr. Naji El Saghir is Professor of Clinical Medicine, Director of the Breast Cancer of Excellence, Head of the Hematology-Oncology Division, Department of Internal Medicine at the American University of Beirut Medical Center, and President of the Lebanese Breast Cancer Foundation.